Google Cloud Connect. It is a very under-acknowledged piece of software that could be very helpful in our school environment. It is a free plugin developed by Google for Microsoft Office, and is compatible with Word, Powerpoint, and Excel. It automatically syncs your document to a copy of it within your Google Docs. The copy is updated each time the original is saved. This allows for multiple people to be working on it simultaneously while still having a word document, PowerPoint, or spreadsheet. Additionally, you can edit the document offline and sync them later as opposed to only being able to edit with internet connection. The plugin is compatible with Office 2003, 2007, and 2010. Each document that you sync through the cloud has a URL which is used to share it with others, or you can share it like normal with the share button. The cloud comes with a free GB of storage; however, you can buy more for a yearly fee of $5/20GB all the way up to 16TB. When the recipient of a share clicks the link they can view the file in-browser or download it and edit it in their Microsoft Office program. Previous versions are also saved, so if you are not happy with a certain revision you can always roll it back. There are many advantages to this form of collaborative work within Microsoft Office. It allows for easy cooperation and protection of back ups and previous versions. The sharing concept also allows for “Green Computing” which means minimal impact on your system. Instead of downloading and uploading large files to view and edit, you just click a link and visit a page, or click a share button and type in an email. The mobility of this cannot be forgotten as well. With the compatibility of Google Docs on mobile devices such as tablets and smartphones, your documents can be edited while on the go. However, this plugin does not allow you to edit the files online within Google Docs. 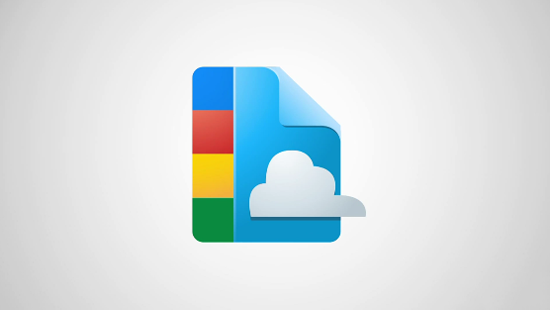 This program just uses your Google Docs for cloud storage, hence the name Google Cloud Connect. The files can still be viewed and printed via Google Docs, but not edited. This appears to be the main downfall of this feature, which I have yet to find a way around. This could be very useful if implemented alongside Google in Lynnfield Public Schools. Students could easily work together with their Microsoft Office documents without the hassle of having to upload and download constantly, and while still having the file type that their teacher is familiar with as opposed to a Google Doc. This software could be very beneficial to our school system.